The 2nd half of this comprehensive musicianship band method for baritone treble clef players. Measures of Success Baritone T.C. 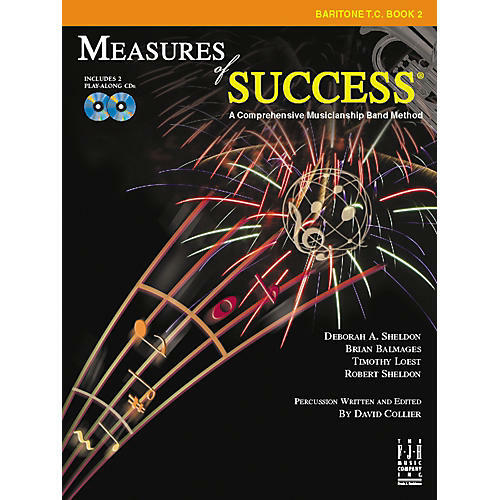 Book 2, part of FJH Music's Measures of Success series, features even more tips and techniques to ignite musical curiosity, to unite conceptual knowledge with performance skills, to foster understanding of the many ways that people share and interact with music, and to assess each student's continued musical growth.